Mahar elected new NSU President - Integration Through Media ....! KATHMANDU: Nain Singh Mahar has been elected as President of the Nepal Students Union (NSU). Chief Election Officer, Bharat Prasad Kharel told the National News Agency (RSS) that Mahar won the election with 1334 votes. 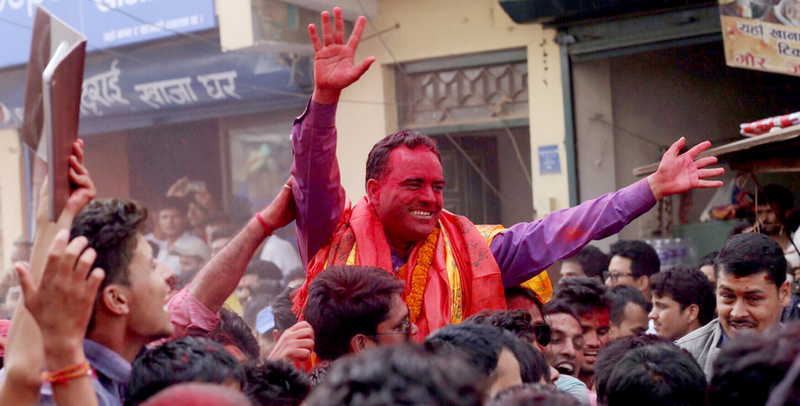 His nearest rival Manojmani Acharya got 1209 votes. Similarly, Kundan Kafle and Saroj Thapa have been elected as general secretaries. The 11th general convention of the NSU started on August 7. A total of 3,307 votes were cast in the election, said election officer Krishna Prasad Paneru.